Get the Full StoryUFC 197 takes place tonight from the Las Vegas, Nevada. Find out all your options for how to watch the card right here. On Saturday night, the UFC will return to Las Vegas, Nevada with an intriguing night of fights spearheaded by a pair of championship fights. 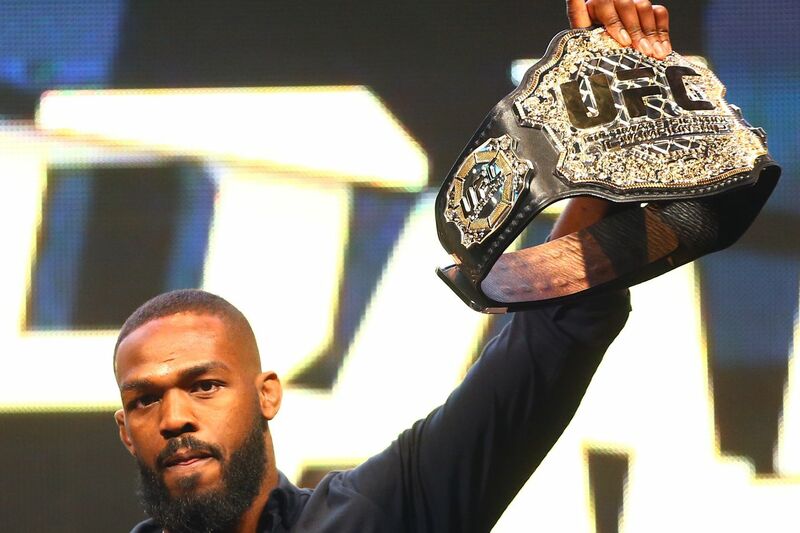 The main event features a interim light-heavyweight title bout between Jon Jones and Ovince Saint Preux. The co-main event will showcase a flyweight bout between champion Demetrious Johnson and Henry Cejudo. The main card will also features a lightweight bout between Edson Barboza and Anthony Pettis, as well as Rafael Natal vs. Robert Whittaker and Andre Fili vs. Yair Rodriguez. The four-fight preliminary card on Fox Sports 1 begins at 8:00 p.m. ET. The Fox Sports 1 preliminary card consists of: Chris Kelades vs. Sergio Pettis, Danny Roberts vs. Dominique Steele, Carla Esparza vs. Juliana Lima, and Glaico Franca vs. James Vick. Leading into the preliminary portion of the card is 90mins of online viewing at UFC Fight Pass. The three fights are Cody East vs. Walt Harris, Clint Hester vs. Marcos Rogerio de Lima, and Efrain Escudero vs. Kevin Lee. The night's action kicks off with four preliminary fights on UFC Fight Pass. The UFC has an online PPV available at UFC.tv. The UFC's UStream page also offers an option to stream the PPV online. Almost every major cable or satellite carrier offers the PPV's in standard definition and hi-def. A list of carriers is available here including Comcast and DirecTV. The PPV show will also stream on XBox live, providing yet another option if you don't have satellite or cable. If you're all out of other options but have an iPhone or Android phone you are able to order the PPV on either platform. The iPhone app can be located herethe Android Marketand AppStore or even now onYouTube.com and Roku. Gamers can also catch the UFC 195 action on Xbox Live and PS3 PS4 with the help of their video game consoles.